One reason dealing with Narcissists is tricky is that they do not play honestly. They readily employ deception to accomplish their purposes. A Narcissist hates anything or anyone that gets in the way of their “glory”. (Yes, hate is a strong word, but if you consider things on a spectrum of love vs. hate, they are on the hate side of the spectrum.) While they may respond with an immediate full frontal assault, they might also keep their feelings hidden until such time that they can do the most damage. 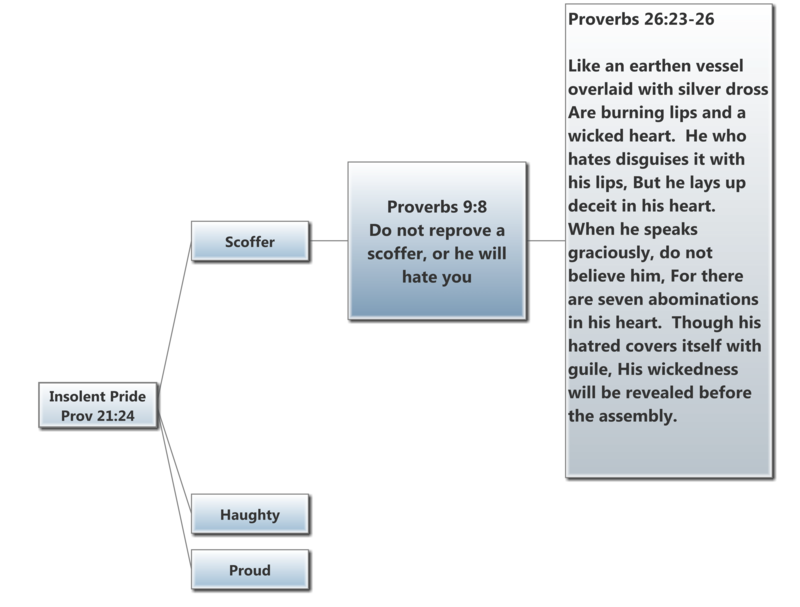 They will try to disguise their hatred with their lips, by speaking graciously even while they hate you in their heart. But don’t believe them. They still fully intend to “trash” you (Proverbs 9:7 – “he who corrects a scoffer gets dishonor for himself”), or undermine you – they’re just waiting for a better time or opportunity. 45 The good man out of the good treasure of his heart brings forth what is good; and the evil man out of the evil treasure brings forth what is evil; for his mouth speaks from that which fills his heart.